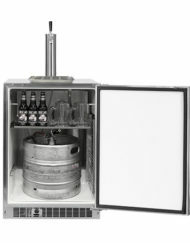 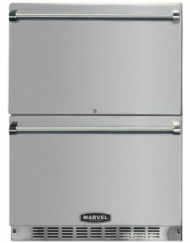 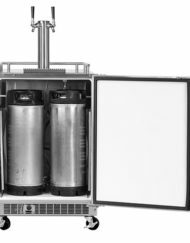 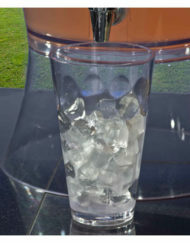 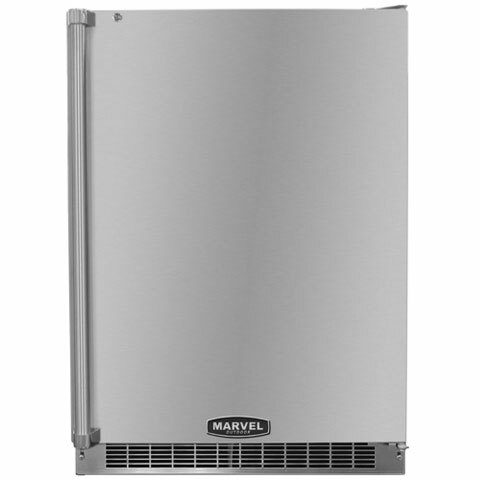 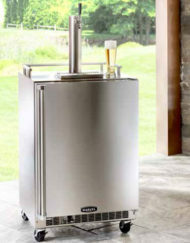 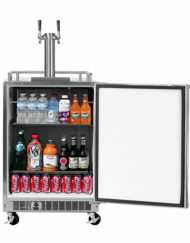 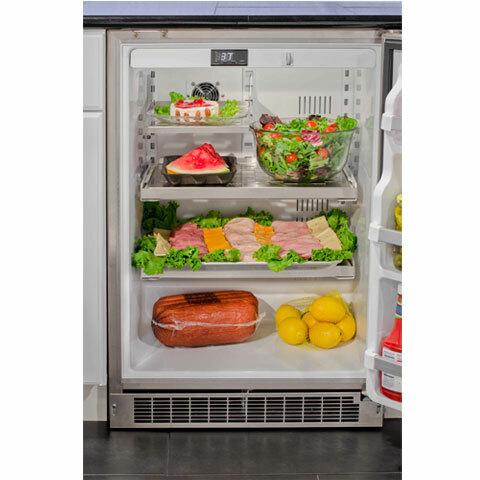 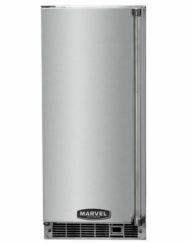 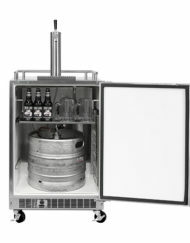 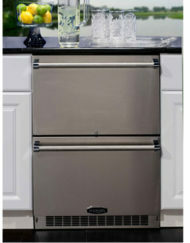 Our 24″ outdoor refrigerator features Dynamic Cooling Technology for superior temperature control and fast cooling recovery between 35° and 43° F. And you’ll enjoy maximum storage capacity and flexibility provided by two cantilever glide-out stainless steel shelves, a ½ width stainless steel shelf, and three door shelves. 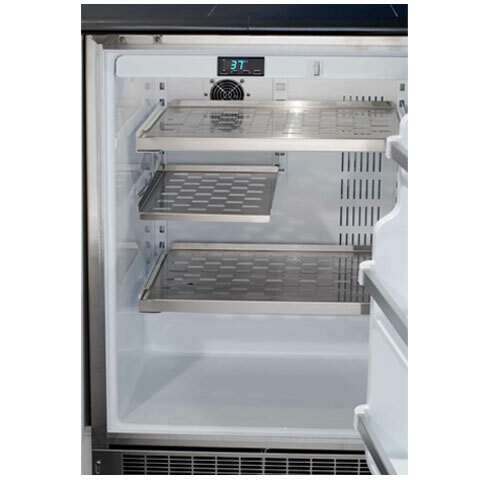 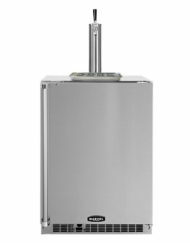 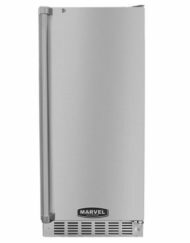 Cabinets and doors are solid, corrosion-resistant stainless steel, and the full length professional-style handle and stainless steel toe kick complete the package. 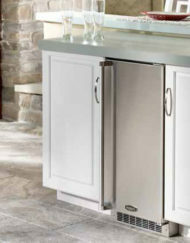 Refrigerator door locks for security.